$26 - Rylee and Cru is proud to present all of their adorable new fall creations for 2017. These pieces all feature a comfortable and soft knit that she won't be able to get enough of. This dress is gorgeous in its dark burnt orange. We love that the half sleeves frame the neckline while the empire waist opens the fit. A button trio is placed on the back to close the neckline. 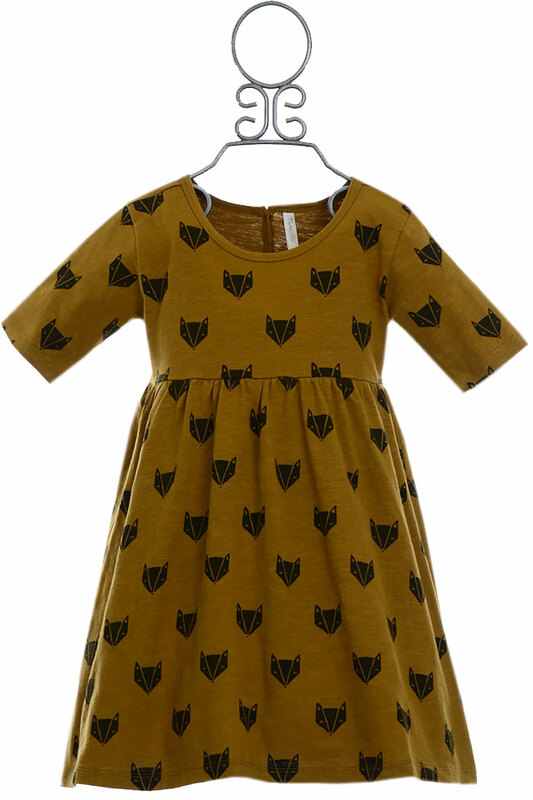 A black print covers this dress in a playful fox print. 100% Cotton. Machine Wash Cold Inside Out. Tumble Dry Low. Do Not Dry Clean!